"Sept 1 1939 News with Lionel Marson"
Our 1939 collection begins with the winds of War swirling, but life going on as normally as can be expected. 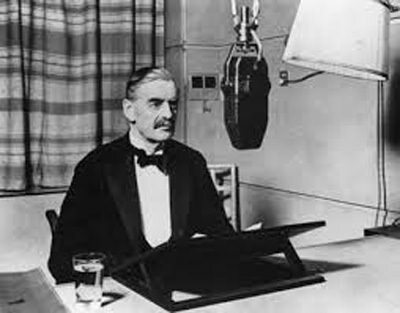 We begin with a clip from the BBC describing how to take care of our gas mask, and another clip of Prime Minister Chamberlain speaking after the Invasion of Czechoslovakia. A historically significant concert was given on the steps of the Lincoln Memorial by Marian Anderson, considered the greatest contralto alive at the time. In his introduction, Secretary of the Interior, Howard Ickes explained that the outdoor concert was to allow more people to enjoy Ms. Anderson's marvelous talent. In fact, she had wanted to perform in Washington D.C.'s largest arena, Constitution Hall, but was barred because of her color. When Secretary Ickes and Eleanor Roosevelt heard about it, they made arrangements for the Easter Sunday concert which was attended by 75,000 appreciative listeners. Our collection also includes an episode of The Bob Hope Show with guest Betty Grable. The majority of 1939's radio news was dominated by the coming of War in Europe. For American listeners and their leaders, the important question was how to keep out of the fighting while not giving aid to the enemies of our friends. There would be no easy answer, although the issue would be discussed by politicians and commentators alike. Some parties were not shy about lending support to friends of the United States. CBS, NBC and the Mutual Broadcasting System all had correspondents in Europe, as well as a wealth of commentators state-side who were ready to give their interpretation of events. 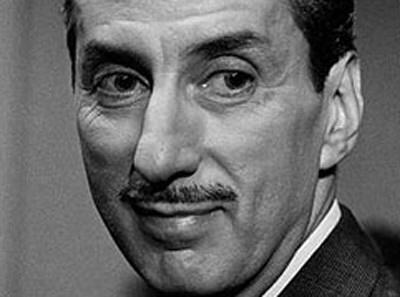 CBS had well known announcer Bob Trout in New York, and his broadcasts often called upon Edward R. Murrow in London or William Shirer in Berlin. The Columbia network also had the reporting and commentary of H.V. Kaltenborn before 1940. Mutual took advantage of Sigrid Schultz's services. William Shirer would write "No other American correspondent in Berlin knew so much of what was going on behind the scenes as did Sigrid Schultz." NBC broadcast commentary from Dorothy Thompson, "the first lady of American journalism". After the Invasion of Poland, Ms. Thompson was on the air fifteen consecutive days and nights. Many of our 1939 News Broadcasts come from the BBC. Great Britain and France were to be the two biggest thorns in Hitler's side in the months before invading Poland. Prime Minister Chamberlain's efforts to avoid War are still being debated by historians. Opinions range from too little, too late to a noble, even heroic effort against insurmountable odds. All of the news services went into overdrive on September 1, 1939, the day that Nazi Germany crossed the border into Poland. England and France immediately declared War on Germany, but little was done militarily for several months. During the period known as the "Sitzkrieg" or Phoney War, two significant military engagements took place, the Soviet assault on Finland and Battle of the River Plate. Two months after invading Poland, the Soviets expected to roll over the outnumbered and poorly equipped Finns. However, the Russian army leadership was still suffering from Stalin's purges. Although the sheer number of Soviet troops and equipment would wear down the Finns, Russia was not able to achieve its goal of total conquest. The German pocket battleship Graf Spee had been acting as a commerce raider since the beginning of the War, sinking several merchant vessels in the Indian Ocean and the South Atlantic. A squadron of smaller British ships were sighted by the Spee, but initially believed to be a pair of small destroyers escorting a convoy. Too late the German captain realized he was engaging three British cruisers. The Spee was damaged in the engagement, but not fatally so. She made her way to Montevideo to make repairs. 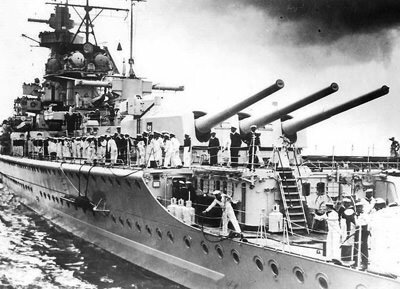 The government of neutral Uruguay informed the Graf Spee that she had to leave port within 72 hours. Unable to effect the necessary repairs in that time, the Captain chose to scuttle his ship rather than face sinking by the British. Be the first to comment on "News Recordings 1939"